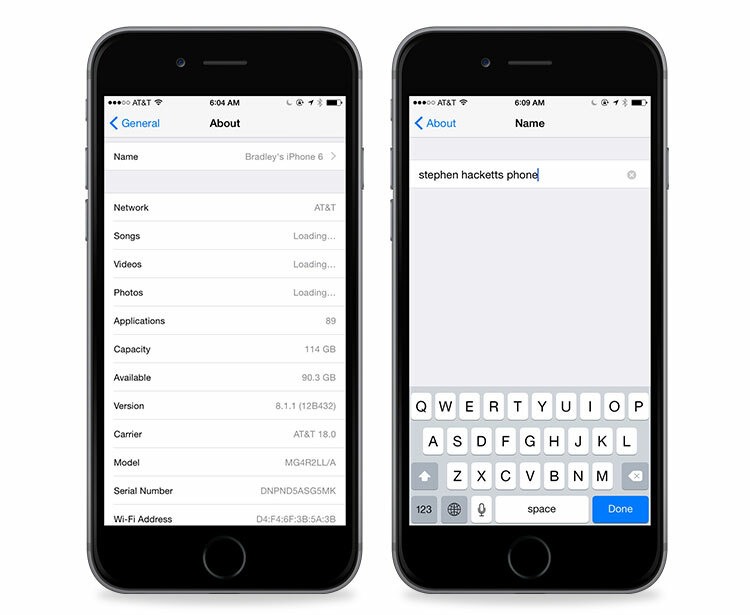 Did you know that your iOS device name can be seen by any Wi-Fi administrator? If you are at a coffee shop, it’s completely possible that they could tie your device name to your order if they matched. If you want a bit more privacy, you can rename it to something that doesn’t include your name. Or, if you have a more creative name for your device than what Apple can come up with, this is how to change it. Go to Settings → About → Name. You can then rename your device to whatever you want.